Employee surveys you can trust. 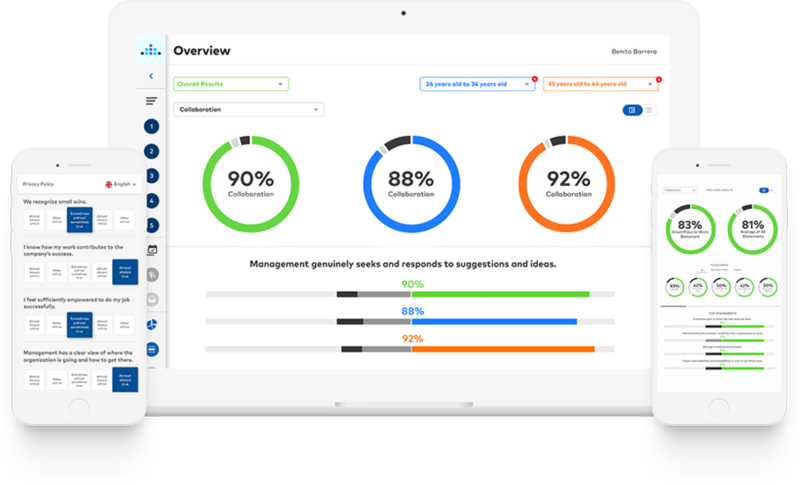 Easily administer employee surveys and see your company’s results, analysis and actionable insights using Emprising™, from Great Place to Work®. It’s the only employee experience platform built on 30 years of research, proven to help you quantify your culture and drive meaningful impact with your business and people. 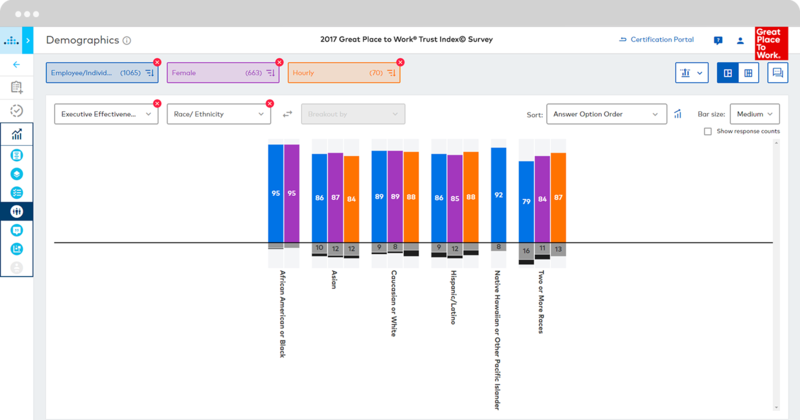 Quantify your unique workplace and see how it compares to the best. 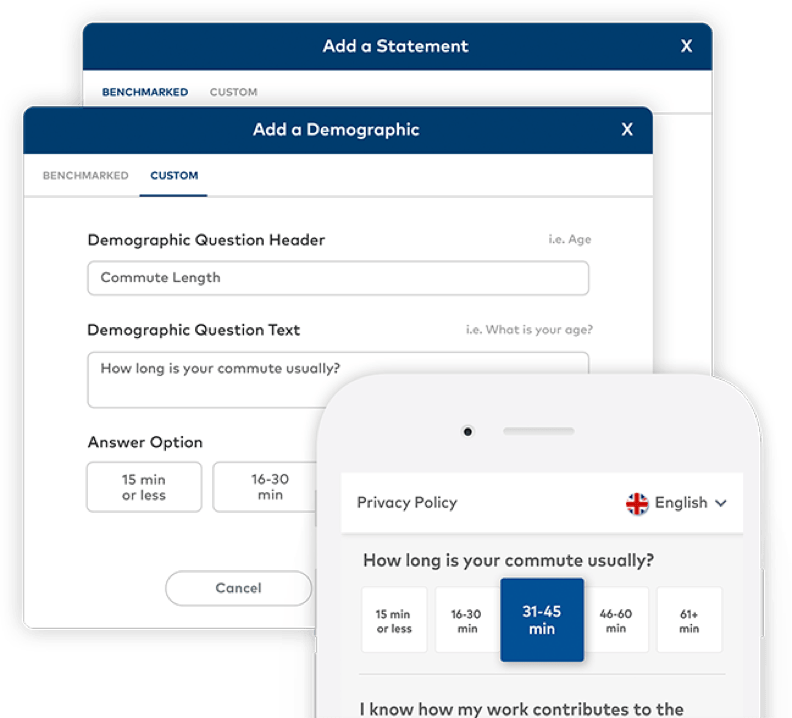 You'll rest easy knowing you have the flexibility to measure your employee experience in minutes through a quick poll, pulse survey, or research-backed assessments based on millions of employee responses from around the world. Create customized surveys, choose from a collection of curated templates, or leverage expert content and benchmarks from Great Place to Work®. Within minutes, you'll be on your way to gathering the right feedback to make meaningful change in your business. Gain perspective from everyone in your organization, regardless of who they are or what they do. Individual invitations, custom login pages, and kiosk mode allow your employees to provide meaningful feedback on any device and from any location. Explore and analyze your results in real-time to unlock the actionable insights you need to drive positive change. 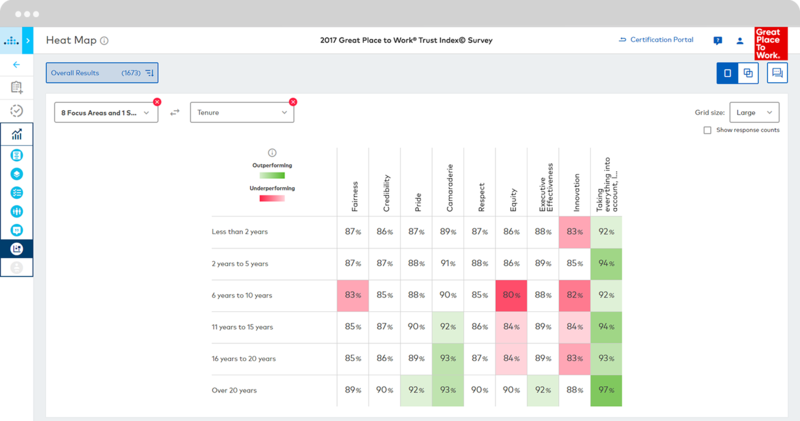 Heatmaps, comparison tools, and employee comments bring your employee experience to life — the results speak for themselves.